ABOUT: Here is a fun play on a coloful flyer! 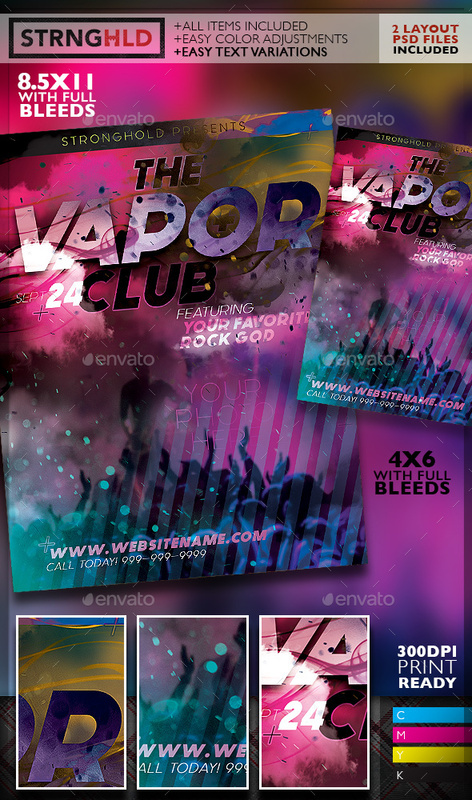 Colorful particles that are simple to use smart objects make customizing this flyer almost too easy! INCLUDED : TWO – ADOBE PHOTOSHOP CS3 FILE AT 300DPI /CMYK AND CLEARLY LAYERED INTO ZONES BASED ON DESIGN LAYOUT , WITH EDITABLE TEXT.